Druk Phuensum Tshogpa led by Jigmi Y Thinley won the primary round of elections this year in 33 constituencies including Bumthang, Dagana, Lhuentse, Sarpang, Samdrup Jongkhar, Thimphu, Trongsa and Trashi Yangtse. 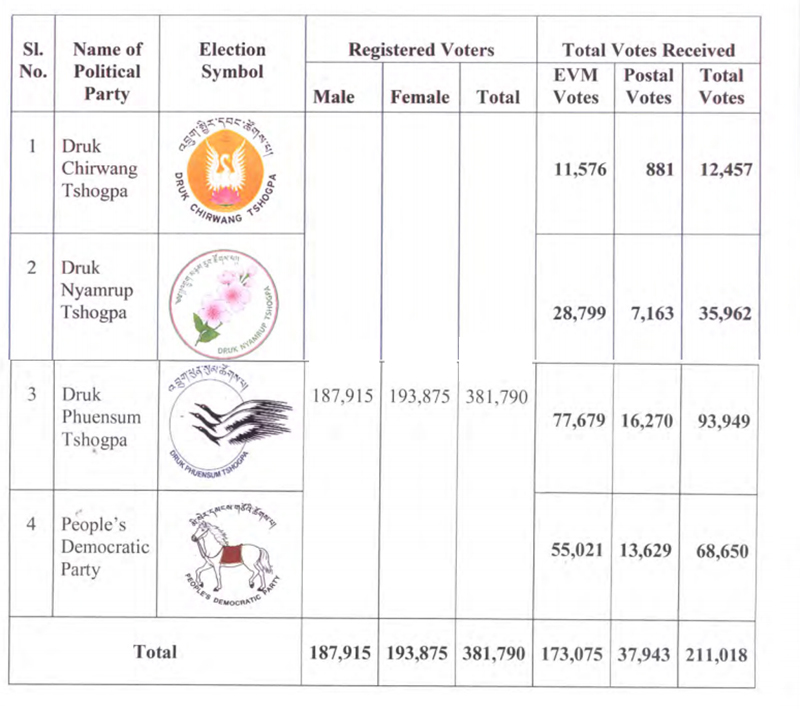 People’s Democratic Party came in second securing a major part of the constituencies in western and southern Bhutan. Druk Nyamrup Tshogpa won in two constituencies. 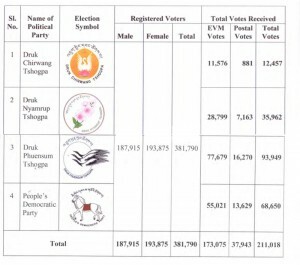 Druk Chirwang Tshogpa secured the least number of votes.